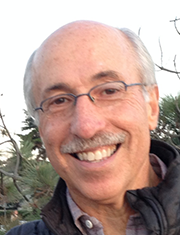 Bob Altman is a member of the Board of Directors and the Treasurer of the Yoga Service Council. He was also co-founder of Centering Youth, the Atlanta based 501(c)(3) yoga service initiative that brings Yoga and Mindfulness to young people in the criminal justice system, those who have been sexually exploited, the homeless and other young people and adults. Bob, who is a 200-hour RYT, also has more than 35 years experience as an attorney, administrator and judge. He is committed to working with the yoga service community to create sustainable yoga service organizations, and to raising awareness of, and involvement in, yoga service across the nation and beyond.